Greetings, Anti Fed Ed Warriors, welcome to my latest series. All this week, we’ll look at the 2020 Presidential race. “Prudent decision making” is key when exercising our right to vote. Being prudent is also associated with the roots of wisdom. Warriors, let’s face it, the 2020 Presidential race is already crowded. By looking at the candidates NOW, we have a great opportunity to use our voices to SHAPE the race. Why? Information, in our case, Warriors, is teamwork. We should use our prudence to back up our feelings we felt right after ESSA (Every Student Succeeds Act) was passed. 1) Nuclear Weapons, 2) the Middle Class, 3) War, 4) Health Care, 5) the Environment, 6) Education, 7) the National Debt, 8) Gun Violence, 9) Immigration, and, 10) Abortion. The Top Tens author did boldly point out that education should be the #1 issue, but as I’ve learned in researching the candidates, for many, it isn’t even on their ‘radars’. So, they lack prudence in education, right off the bat. Warriors, in fact, many have placed the Green Deal and/or Climate Change as their #1 issue. As we know, I’ve shown you how the Climate Change and Green Deal overreach into education. 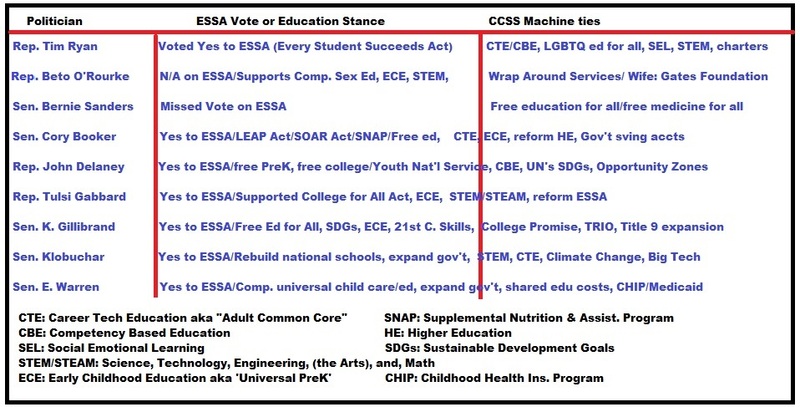 1) Current federal politicians (Senators first, then Representatives and former leaders), any current legislation related to education, the candidates & their stances on education, and, are they connected to the CCSS Machine in any way. 2) Pres. Trump’s review on education. 3) State politicians and their education stances/activities. 4) Private citizens running for President. Gov. Jay Inslee, Sen. Amy Klobuchar, Mayor Wayne Messam, Sen. Elizabeth Warren, Gov. William F. Weld, businessman Andrew Yang, Sen. Bernie Sanders, and Rep. Justin Amash (source). 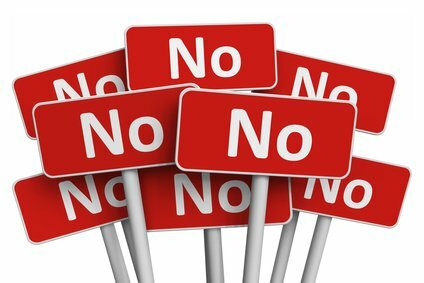 The 2 who voted “NO” on ESSA? Sen. Kamala Harris (CA) and Rep. Justin Amash (MI). Warriors, don’t rush to their sides just yet. Let me show you what I’ve found out about their education issue stances. Warriors, as you see the very Anti Fed Ed action of voting ‘no’ is at the center of the knot. Very prudent, but notice the outlying points. These are what detract from the prudence. Warriors, here are the other federal (current or former) leaders from DC, VP Joe Biden, Rep. Eric Swalwell, Sen. Michael Bennet, Rep. Seth Moulton, and former Sec. of State, John Kerry. What ties to the CCSS Machine do these people have? Biden (LGBTQ education for all, Big Labor/Unions, CTE); Swalwell said ‘yes’ to ESSA; Bennet also said ‘yes’; Moulton said ‘yes’ and has added green jobs, STEM, and CTE to his stance; Kerry is tied to the Clintons and received campaign donations at one time from (then, citizen) Donald Trump. Warriors, be sure to use www.congress.gov to look up the Bills by number. I’ve included a brief statement of how these connect to education. If I’ve already written about any of these, they will be highlighted. Sen. Warren currently has co-sponsored a dozen education related Bills. If you’ve not seen Sen. Warren’s universal ECE (Early Childhood Education) and Universal Child Care Plan as President, I urge to read this article she wrote. Sens. Harris, Booker, and, Gillibrand share co-sponsorship of S 672 (see description above). Sens. Gillibrand, Booker, Klobuchar, and, Harris share co-sponsorship of S 477 (see above). Sens. Harris and Klobuchar share co-sponsorship of S 720 (see above). Sens. Harris, Gillibrand and Booker share co-sponsorship of S 579 (see above). Sen. Booker and Klobuchar share co-sponsorship of S 461 (see above). Sens. Harris and Klobuchar share co-sponsorship of S 523 (see above). Sens. Warren, Sanders, Klobuchar, Gillibrand, and Booker share co-sponsorship of S 610 (see description above). Sen. Booker shares co-sponsorship of S 166 (Sen. Gillibrand is the sponsor), see above. Sens. Harris, Klobuchar, Booker, and Bennet share co-sponsorship of S 791 (see above description). Sens. Warren and Harris share co-sponsorship of S 851 (see above). Sens. Harris, Klobuchar, and, Bennet share co-sponsorship of S 358 (see above). Sens. Harris and Klobucar share co-sponsorship of S 758 (see above). Sen. Klobuchar shares co-sponsorship of S 137 (see above). Sens. Booker, Bennet, Harris, Sanders, and, Klobuchar share co-sponsorship of S 768; Sen. Warren is the sponsor (see above). Sen. Harris shares co-sponsorship of S 260 (see above). Senator Klobuchar has 15 bills and 3 Senate Resolutions which are education related. Sens. Harris, Bennet, and, Sanders share co-sponsorship of S Res. 79 (see description above). Sens. Warren, Harris, Bennet, and, Booker share co-sponsorship of S Res. 127 (see above). Sens. Warren, Harris, Gillibrand, Booker, and, Sanders share co-sponsorship of S 266 (see above). Sens. Gillibrand, Harris, Sanders, and, Warren share co-sponsorship of S 627 (see above). Sens. Harris and Booker share co-sponsorship of S 729 (see above). Senator Bennet shares co-sponsorship of S 759 (see above). Senator Gillibrand shares co-sponsorship of S 839 (see above). Senator Harris shares co-sponsorship of S 943 (see above). Senator Booker shares co-sponsorship of S 625 (see above). Senator Booker has 4 education related bills. If you’ve not read this article, you’ll find out Sen. Booker is a DeVos supporter on school vouchers and charter schools. Senator Gillibrand shares co-sponsorship of S 497 (see above). Sens. Harris and Klobuchar share co-sponsorship of S 981. Senator Bennet is the sponsor (see above). Sens. Sanders, Klobuchar, Warren, Booker, and, Harris were among the Senate co-sponsors of S 461 which seeks to improve education outcomes for HBCUs (Historically Black Colleges and Universities). The Bill has passed the entire Senate and is now in the House’s Education and Labor Committee. In 2017, I showed you how HBCUs were being targeted by the Ford Foundation (CCSS Machine member) for STEM. Senator Bennet is the co-sponsor of S 381 which would amend the HEA for NASA (STEM) based resources. He also is a co-sponsor of S 876 which will provide STEM jobs for our military veterans. Bennet is also a co-sponsor of S 317 and S 468. S 317 will amend the Social Security Act to increase children’s mental health in wrap around services. S 468 will require schools to partner with mental health services. Warriors, in Part 2, we’ll look at the House of Representative Presidential Candidates as well as the former public servants. Just when we thought ESSA (Every Student Succeeds Act) couldn’t get any MORE nanny-state like, a new House of Representatives bill comes along to blow that right out of the water. I’m talking about HR 804. As the language of the Bill introduces it, ‘to amend the ESEA (Elementary and Secondary Education Act of 1965)’. Why does DC continue to refer to ESSA’s former name and not use its current one? The answer is simple, everything in ESEA was codified in ESSA’s ‘update’, so that means every bit of NCLB (No Child Left Behind), RttT (Race to the Top), and everything which binds it all up in one stinky package is STILL in place! As the summary states it, Warriors, this Bill will give grant money to eligible groups to establish or expand school based mentoring for ‘at-risk’ middle school students heading to high school. Sounds great, right? Look between the lines, my friends. a) ‘At risk’ is the ESSA/ESEA label for any student outside a government determined set of parameters. b) ‘At risk’ is nebulous on purpose. It’s a back door way to ensnare homeschool students, students who don’t fit in, students who are homeless, and so on. c) ‘Eligible groups’ doesn’t mean at school, it means any of the ESSA/ESEA mandated P3s (public private partnerships) which qualify for predetermined government assigned parameters. Look at some of the after school groups and their ideals/morals. Are these really the people you want mentoring your child? Why is the government overreaching into the middle school to high school transition, anyway? Those sensitive years should be the parents responsibility, NOT the federal nannies! d) “Mentoring” is a safe word for behavior interventions and mental health overreaches. This mentoring bill is sponsored by Rep. Carson (IN). It has 3 co-sponsors, Soto (FL), Moore (WI), and, Norton (DC). Below, is a screen shot of Rep. Carson’s website statement on education. Warriors, if you are curious, Mr. Carson’s 2nd top campaign donor was Eli Lilly and Company. Eli Lilly has a powerful lobbying effort in DC for all kinds of health related items, including well adjusted youth. If you’d like to read up on the Eli Lilly Indiana SEL (Social Emotional Learning) mental health/mentoring grabs, visit their “Strengthening Students’ Pathways” page. **Warriors, this isn’t the first time counselors have been assimilated into the CCSS Machine. Before Pres. Obama left office, he started the School Counselor alignment through an initiative which was to use these school staff members as salespeople for workforce aligned career tracks. Why bring that up now? The ESSA re-authorization of ESEA mandated that ALL education be aligned to post-secondary readiness for workforce aligned education. The SEL shift we’ve seen plays right into the ‘readiness’ in several ways. Especially under the guise of forcing students to be emotionally ‘ready’ before they naturally mature. ESSA also handled this shift in a variety of other mandates, specifically expanded school staff for behavior management and mental health services. Mentoring falls under BOTH of these categories!! Warriors, from this 10 page bill, if made into federal law would use an increased amount of taxpayer funds for ‘prevention and intervention’ for students who are ‘at risk’, ‘neglected’ or/and ‘delinquent’. Side Notes:**Since more and more States are having to dance to the federal ESSA tunes, this is where home education will be hit hard. How? States are introducing legislation to classify homeschoolers as ‘neglected’ or somehow ‘at risk’. IL has HB 3560; PJMedia also has a report on this Bill. Be sure to read the article and comments. NV reports some dire issues with freedom to homeschool there; IL has a 2nd bill which will lump homeschoolers into the CCSS Machine, then there’s CA. (The NV report will include some information on the CA overreaches.) GA is also considering clamping down on home education. TX is pushing an entire mental health hub system for ALL students via SB 10 and HB 1448. MN has a record 6 bills which seek to rip families apart with all the mentoring/mental health birth to 5 overreaches. As you can see the WHO’s idea of mental health overreaches mirrors that of America’s! *Federal Bill HR 804’s price tag is $50 million for FY 2020 alone. 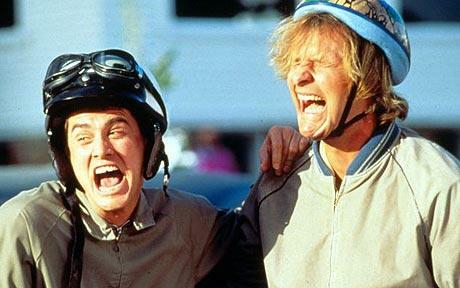 Fiscal years after that will be as much as Congress believes mentoring needs. *As usual, Congress has created a bill, that if turned into law, gives the Secretary of Education MORE power. *Any group (including a school) must submit an application to receive grant money. Anything the Secretary deems necessary, as far as information (aka: data), applicants must supply. *HR 804 allows for hiring coaches, but doesn’t say what limitations or requirements these coaches are to have. *Grants are to be used for 5 years or less. *Reports of what number of students, their academic data, how many hours were spent between Coaches and their students, and anything else the Secretary of Education deems as necessary to evaluate ‘success’. By the end of the 3rd fiscal year, the Secretary must pass data to the Congress. By the end of the 5th year, Congress will make a final report. * Success Coaches are defined as anyone in school administration, from a community-school partnership or volunteer who wishes to serve. Service includes training and support. The training is to be at a minimum of 2 hours, have a screening (includes background check, child abuse, and job references). 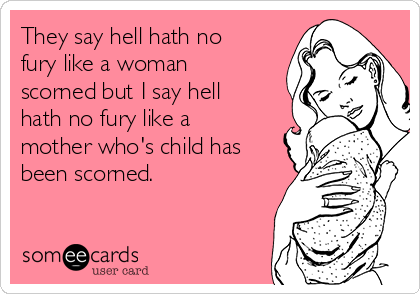 Warriors, do you have as many warning bells going off in your heart and head as I do? As one of my dear anti Fed Ed Warriors, in ID has stated, this battle is ours to lose. We MUST speak out. Our naturally given parental responsibility as our child’s BEST mentor is under attack! Our naturally given parental choice to home education is also under attack. Will we remain passive while Rep. Carson backed by Eli Lilly; while TX, GA, IL, NV, CA and other States ursurp our power to nurture our children. HR 804 expands ESSA in harmful ways. We cannot allow this. Parents!! Please…STOP HR 804 Please STOP your States! HR 899. (Termination of the U.S. Dept. of Education). Warriors, according to the government records, this simple one sentence bill, which seems to hold SO much promise has a mile of agenda behind it. This summary (above) is from a government point of view, not a Warrior’s! 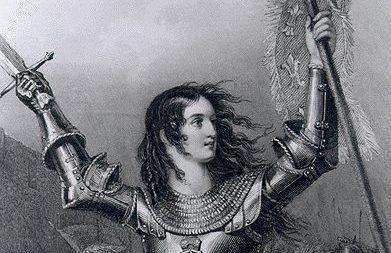 What is a Warrior’s viewpoint? Ultimately, it is to end ALL federal overreaches in education. However, if we seek to accomplish this in the WRONG way, we’ll be doing more harm than good. Warriors, remember, EVERY federal Cabinet level Agency has a Plan which includes THEIR overreach in education. The overreach? Workforce based education via CTE (Career Tech Education and STEM; Science, Technology, Engineering, and Math). Our students/children do not need more complacency, they need protection. Warriors, we’ve been lied to enough!! So “Whaddya Want?” One federal department shut down OR 100% removal of federally led education?! We cannot have both, at the same time, Warriors. Warrior and long-time education researcher/activist, Anita Hoge (March 2017) gave a brutally honest account of EXACTLY what HR 899 would do, if enacted. Anita’s article also gave you a reality check on some bills which are related. (*Note: I took a researched look at some of the same related bills, due to their BS factor about ‘choice’ and published that in Feb. 2017). In early March 2017, this article of mine showed how ‘stuck’ on education as the tool to boost the economy, Congress was and continues to be. This plays right into the massive data mining conducted on your students. In May 2017, I showed you some federal legislative bills which want to use education as the excuse for MORE workforce alignment and training. These all play right into ESSA’s mandates. In Sept. 2017, I gave you some more fed ed related bills where the U.S. Dept. of Ed’s authority is included. It also ties to ESSA (Every Student Succeeds Act). These Bills, including HR 899 are no REAL solutions, they help federal education overreaches stay in place. THIS Bill’s name: ‘‘States’ Education Reclamation Act of 2017’’. That SOUNDS like music to a Warrior’s ears, right? Not so fast, let’s look at what’s contained in the 16 pages. a) Admits that a federal Dept. of Education doesn’t reflect the U.S. Constitution’s intent. b) Admits education is best carried out in the hands of parents, teachers, and their communities. c) Admits our students are suffering. That the U.S. Dept. of Ed has weakened parent’s decision making, as well as undermine communities. Test scores are way down, too. d) “The Department of Education has fostered over-regulation, standardization, bureaucratization, and litigation in United States education.” Then precedes to tell us some of the worst ways in which this has been done. Woven in the ‘good’ stuff and just before the section where abolishing the U.S. Dept. of Education begins, is a double speak phrase which we shouldn’t overlook. Warriors, what happened to the student’s suffering? The parents being excluded? a) Near the beginning of the Bill it is a bit unclear exactly WHAT part of the U.S. Dept. of Ed is being abolished. There is a tremendous amount of transferring FROM Ed to other Cabinet agencies. 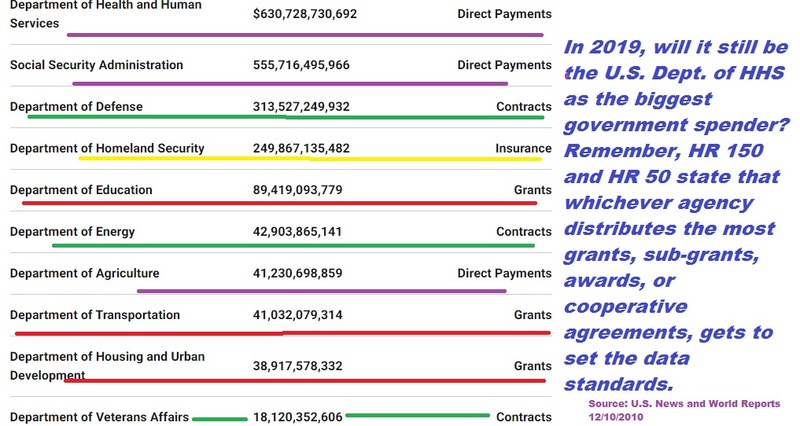 b) Grants to the States for education at any level would come from the U.S. Treasury. This would invoke an ‘intergovermental financing’ requirements. (This includes the Pell Grants Programs and all Federal Student Loans). Cornell University explains how a intergovernmental financing situation would work. This increases fed-to-state strings. c) The familiar ‘supply, not supplant’ federal government phrase. Warriors, how many times, especially in education, have we seen that work out in favor of ‘local control’? Also, the use of ‘non federal’ funds in every level of education??? d) States would have to enter into contracts for audits for compliance. Failure to comply means a 100% repayment to the Treasury Dept., no exceptions. e) The U.S. Attorney General’s authority will be used to oversee the States in the use of their money. f) The U.S. Dept. of Labor, by a transfer of power, would receive EVERY job training program currently housed in the U.S. Dept. of Education, under the CTE (Carl Perkins funded) programs. This would include STEM/STEAM, apprenticeships, CTE High Schools, and much more. g) All IDEA programs, would by transfer, go to the U.S. Dept. of Health and Human Services (which under ESSA, HHS received a HUGE increase of overreach into education). h) All U.S. Tribal education activities would, by transfer, go to the U.S. Dept. of the Interior. j) The Government Accounting Office (within 90 days of HR 1510’s passage) would have to present a feasibility study report to BOTH the U.S. House of Representative’s Ed/Workforce Committee and the U.S. Senate’s HELP Committee. The Report would reveal the States’s ability to handle funding education from a local level (by reducing the federal tax burden) and how able are the U.S. agencies receiving all the transferred programs from U.S. Dept. of Education to maintain them. 1) The Bill started out with two co-sponsors, only one remains. 2) Rep. Rouzer’s committee and sub-committee assignments ? Funny thing is, not ONE of them is on an education committee or sub-committee. 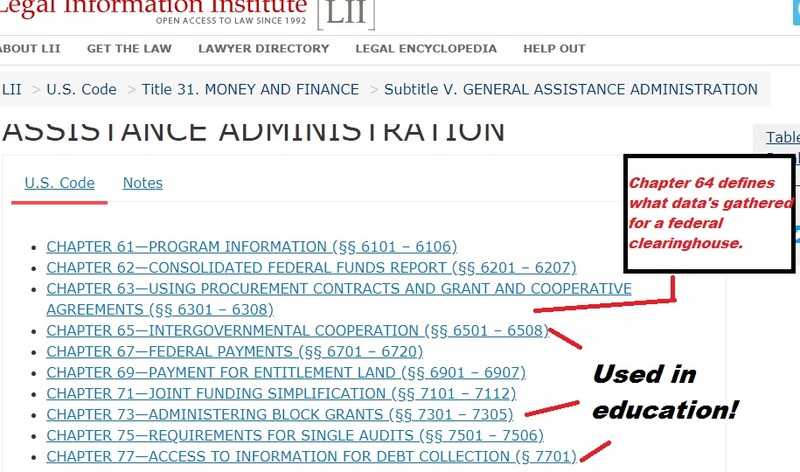 In fact, on his website’s “Issues” tab, education is absent. The closest thing to education are ‘economy and jobs’. 2a) One of my biggest questions is why is a Representative who is NOT involved directly in education, sponsoring such a Bill as ‘big’ as HR 1510? *Note: Rep. Rouzer’s office would not address this question in an email I sent. 2b) The Center for Responsive Politics (Open Secret website), shows Rep. Rouzer’s top campaign contributors include Lowe’s Home Improvement Company. The website goes on to reveal that they belong to Skills USA (which is a huge CCSS Machine member group). In fact Lowe’s recently stated, “five-year, $1.5 million annual commitment” to Skills USA for one distinct reason, “support of trades education”. 4) My research on Skills USA created a two-part set of articles. In Part One, you’ll be able to learn how Skills USA has a say in curriculum used in education. In Part Two, you’ll see how the group supports ‘trades education’ or CTE (Career Tech Education) as the CCSS Machine calls it, as a sort of “Camelot” for America. 5) HR 1510’s process of closing the Dept. involves a Presidential issued plan given to Congress. I reached out several times to the Bill’s sponsor for clarification on this point, but have not received any word from the Representative or his Communications Director. 6) Of all the ‘trouble’ spots listed above, Warriors, did you notice ‘maintain’ Ed’s programs? HR 1510 doesn’t Repeal ESSA OR Restore FERPA. It doesn’t rescind the EO (Executive Order) by Pres. Obama which gutted FERPA. As long as FERPA remains ‘as is’, massive data mining on your students will be maintained! Warriors, as long as we seek to abolish the U.S. Dept. of Ed without FIRST repealing or restoring the laws connected to the Department, we are going to help play into the hands of the CCSS Machine! Seasoned Education Warriors have been quoted at some point and time over the past 20+ years which echo this truth! Yes, end U.S. Dept. of Ed, but do if CAREFULLY. Neither HR 899 or HR 1510 do this. Both THESE Bills transfer the problems. Warriors, I know we’re impatient. We want a solution NOW. But, consider the students. Do you think they’re rather have the problems in their classroom solved and done away with or do you think they’d like to see the problems passed down a pipeline of deceit? Author’s Correction on “Bamboozled”, yesterday’s article. In that article and pertaining to ESSA, page 151, I did not clearly state my concerns for teachers and students. I do ask that you forgive that error. My point to the language there is that under the present SEL training teachers are receiving, it is an over-burdening addition to their already ‘full plate’ of responsibilities. Teachers should be able to note and help point out any learning disability. At the CCSS Machine’s beckoning, however, it seems that teachers will be asked to do much more than this. As Warriors, this is an area we must watch. Teachers and students need protecting from the harm ESSA is dishing out. Warriors Against the Core, in the past 2 articles I’ve gone back over ESSA (Every Student Succeeds Act). As you know, I combed through it when it was first introduced, as well as re-visited it quite a bit after it became Law. So why now? Since implementation is in swing, we need to see what’s happened. We need to see how much of a lie ‘giving the States back control of education’ is being carried out on a daily basis. My most recent ESSA reviews have covered the ‘at-risk’, or, troubled youth. Then, special needs. Today’s review? Native Americans. If you missed when I first uncovered the CCSS Machine grasp on the original citizens of our nation, you can go back and read it now. In that article you’ll see how 21st Century Community Learning Centers, school reform, and much more from ESSA and other federally contrived legislative acts. Of all the student subgroups (as ESSA likes to refer to our children by), the Native Americans (including the HI and AK tribal nations) are mentioned a whopping 244 times! The first 16 are in the Table of Contents. Warriors, I do not know about you, but by the sheer number of times our fellow citizens are brought up, I have to ponder WHY so much attention is being directed their way. No American group deserves to be more left alone by the federal government. With over 200 references to the Indians of America in ESSA, I’m only going to point out the worst ‘strings’ (aka: mandates). The Sections pertaining to Native American education are: 4505 (Family Engagement in Education); 6001 and 6101 are the ‘conforming amendments’; 6121 (Improving Educational Opportunities); 6141 (National Advisory Council on Indian Education); 7004 (Impact Aid); 8004 and 8103 (BIE schools, see the article embedded in ‘now’, above), and 8535 (must consult with tribal organizations). Page 19 of ESSA’s law mandates Native Americans must be included in State Plans. Page 44 shows how the SEAs (State Education Agencies) and LEAs (Local Education Agencies) having control over Native American education. Warriors, there is plenty more like all this above, in store for all of us. From a fellow Warrior in WY, shared with me the day my “Captive Education” article was published, that, U.S. Sec. of Education DeVos visited an Indian Reservation’s school to help jump start her “Rethink Education” tour. It’s quite interesting (and not to mention, telling) that ‘her’ choice of wording smacked of the recently broadcast Project XQ: Super School Live! Where the entire CCSS Machine propaganda fest was geared on ‘rethinking/reforming’ high schools. It’s ironic that the school on the Reservation didn’t have DeVos’s visit in their school news or on their calendar. NIEA (National Indian Education Association) is partners with the CCSSO (Council of Chief State School Officers), so any question of what side of the CCSS Machine they are on, is an automatic ‘supportive’. NIEA’s website. The 2016 (114th Congressional Session) RAISE Act (Reforming American Indian Standards of Education) announcement can be found on the NIEA website. You’ll want to see the Report which accompanied the RAISE Act. In it you’ll see how many students are involved in Native American education, how much money is involved, and also, the ‘federal education’ shift. HR 1528 (Native American Indian Education Act) will amend the HEA (Higher Education Act) to continue federal mandates for Indians in post-secondary education. S 660 (Native American Indian Education Act) this is the Senate’s version of the HR 1528. 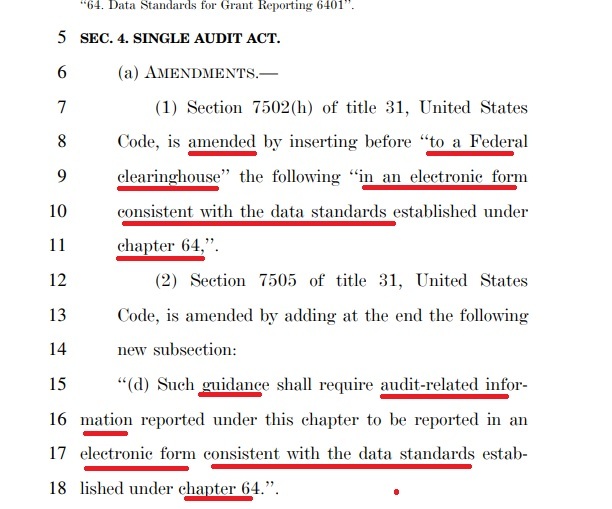 S 934 (Johnson-O’Malley Act) would data mine students for the sake of ‘modernization’. S 1294 (Native American Education Opportunity Act) will give education savings accounts to the Native American students. HR 2727 (NEST Act or Native Educator Support and Training Act) amends the HEA and will give scholarships for Native Americans to become teachers and school administrators. S 458 (NEST Act) this is the Senate version of HR 2727. If you’d like to read that Dec. 2014 article, here it is. WY has a Tribal Children’s Triad. This is a partnership between communities and schools. ESSA ‘loves’ these kinds of relationships. In fact, in some of my earlier ESSA research, I shared with you how entire communities will be assessed/measured/tested for alignment to ensure ‘student success’. According to WY’s ESSA State Plan, a mere $6.6 million will be used for 21st Century Community Learning Centers, which the ESSA law mandated. Page 51 of the Plan, is where you’ll find this figure. Warriors, I trust you will find this information helpful wherever you live in America. One last thought I’d like to leave you with. You’ll see it below. Share it if you like.